Are you in Barcelona between 19th and 24th September in 2014 and looking for an amazing event to participate? Then La Mercé festival may be the right occasion for you. Whether you are alone or with group there are lots of demonstrations of various performing arts you can see. You may want to join theatres, concerts or joyful programs while you are in Barcelona city. So this festival time would be great timing for your holiday between 19th and 24th September in Barcelona city. Actually it is not so hard to find a program going on in your Barcelona city holiday. 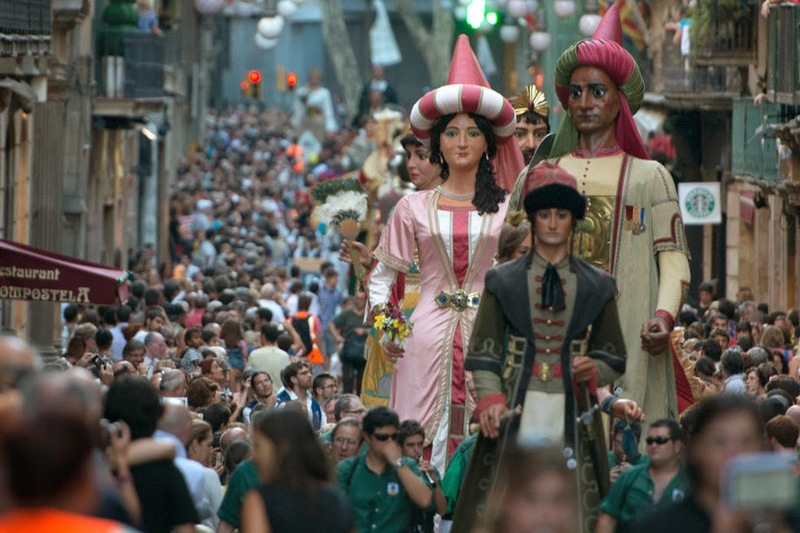 As Barcelona people love to celebrate any kinds of event in the history or modern time they organize enjoyable performances which sometimes last more than a week so it's easy for you to come across a festival during your holiday. La Mercé Festival is one of those ones. It's generally celebrated in September to say goodbye to Autumn for the last time. What does the La Mercé Festival include? It separates into different concept of celebrations such as sky, street, music, traditional and fire festivals. You can attend theatres, music concerts, artists' performances in the street or acrobatic meeting of jets, balloons or ultra lights shows. If you are in Barcelona these days you shouldn't miss this event out. For La Mercé Festival Calendar please check below address. For more things to do in Barcelona city please don't forget to follow your Barcelona city guide. We will continue to write about Barcelona 2014 events. You can find other 2014 events in Barcelona city at Events part. Upcoming events in Barcelona are really great to join. Don't miss out.